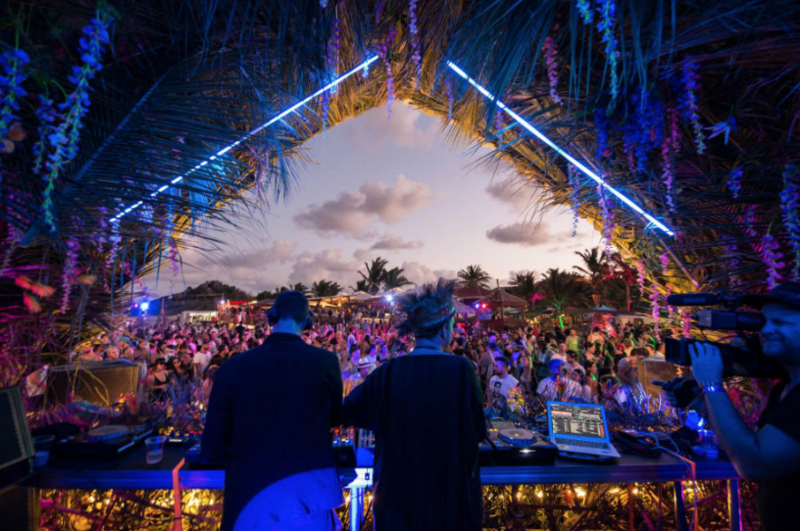 SXM Festival is back after an enforced hiatus caused by a devastating natural disaster that struck its Carribean home in 2017. In the years since, the team behind the festival have help rejuvenate and rebuild the island and now, this March 13th, they are back with another world class event. 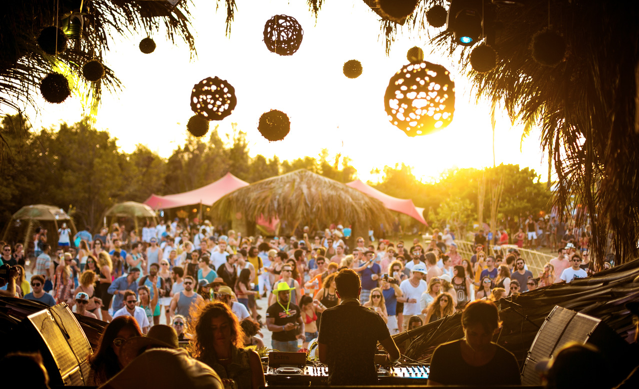 Set within the iconic beaches, nightclubs and spectacular villas of the island, this year the likes of Apollonia, Dubfire, Enzo Siragusa, Marco Carola, Seb Zito, Zip and many more all play. Before the event we speak to founder Julian Prince about what has happened since the last edition. Find out more on the website and read on for the behind the scenes scoop. What inspired or motivated you to set up SXM? Did it take inspiration from any other event or experience you had had? SXM is a reflection of moments I have lived by being at the right place at the right time. I started raving in 1995. It was a very active time in the electronic music scene in Montreal. There were multiple “after-hours” venues: Playground, Stereo, Sona, Red Light to name a few. There were raves of 5K and more people every weekend. Montreal was on fire back then. In 1997, I picked up turntables and spent much time in the studio and that continues to be my passion. This was a natural evolution of total immersion in the industry. I went to Ibiza often since 2001, went to the WMC since 2002, did BPM from year one, discovered Tulum in 2008. Was fortunate enough to be at the jungle party SACBE in 2010. Was also present for the sunrise with Lee Burridge on the Robot Heart bus in 2011, did ADE a couple years and witnessed the tight production of Timewarp. I’ve tried to reproduce humbly some of those legendary times and share them with as many people on my favorite destination in the world: St-Martin. What is a day to day like for you, what sort of things do you do? I have an amazing team that enables me to have a productive and ergonomic schedule. Project director, project managers, accountants, PR, legal, social media, food and beverage, travel specialists, online marketing specialist, a complete production team and creative team that makes SXM Festival so special. My job is to oversee what everyone’s doing and make sure that everything stays on brand and stays fluid. I put most of my efforts in sales, marketing and social medias. The most important thing for me is to spend time with my wife and my son every day. What shape is St Martin in now after the awful disaster they suffered at the hand of Hurricane IRMA? In March, It will be almost two years. Saint Martin relies solely on tourism to survive. It was a priority to repair the hotels, airports and the tourist areas. 78% of flights have been restored, 68% of the accommodations have reopened, many of which have been completely renovated and all the most successful businesses are now rebuilt. You don’t go to SXM to be confined to a room and watch TV. You go for the 36 pristine beaches, the night life and the French chefs in exile. The island is not known for its resort life but the local lifestyle you adopt as soon as you land. The most negative impacts of natural disasters always has the same victims; the kids and the elderly. The ones that depend on their parents or children, to have a job to secure the family. Tourism is the only and best way to help. Saint Martin is ready for tourists and still in challenging times, offers an experience I believe to be superior to other competing destinations add our signature stages and stellar line up, it makes us pretty unique. How have you helped them get back on their feet? We have listened to the locals and been focussed on helping them in whatever ways suit them best. After postponing the festival to March 13-17 2019, the first thing we did was found the Two Bunch Palm foundation. The aim of this was to raise funds and awareness, and we managed to get 45K USD through two Go Fund Me initiatives. Money went on a range of things such as cleaning two very popular beaches and making them safe to swim on once more, as well as throwing a kids party to celebrate. We also donated lots of gear to a local school after filling a container with water sports gear, and took a class of 12 year olds and planted palm trees that will symbolically grow with them. In association with the Peace Boat, we are also sending two young photographers to Patagonia and have an American donor who is discussing a generous amount to give to help fund a modern children’s playground. How bad was it, what has the last year been like for people there? It was the most devastating storm of the history. It was a traumatizing experience for everyone present and even for those that were not present during the storm. First, they had top fix their homes and then came the massive clean up of neighbourhoods. Hurricanes are part of the culture. Saint Martiners have it in their heritage and consciously live with this risk. It’s a little bit of hell in paradise! Thankfully the weather is favorable to the vegetation so almost everything grew back in the first year. The governments also decided to reinforce the construction laws with higher standards. St-Barths and Anguilla show very little signs of the storm because of the quality of the infrastructure. This is the path the island is taking. And how will you help going forward with driving tourism and the local economy? The festival is an awesome tool to promote the destination and to propagate the message that the island is open for business. We are proud to have had the opportunity to contribute to the economy by bringing thousands of tourists. The festival has become, in just two years, the island’s biggest international event bringing over 7000 tourists in just two editions. During the festival, the whole island is buzzing; the energy of the entire place is palpable. Taxis, hôtels, restaurants, activities… everyone is working and the locals are always raving about how the guests are kind, polite and that they tip well! This creates the best vibes all around. How important is it to be responsible and help the locals rather than just bring in loads of people from outside for a week, having fun then leaving? SXM Festival has the island’s Facebook page with the most fans. We use it to promote St-Martin all year round. Besides the music and the event itself we talk about the villas, the venues, beauty of the island, the culture, the restaurants, the activities... this encourages people to visit the island on vacation at other times in the year too. Many decide to stay after the festival, or to come before the festival and even to come back in the same year. SXM is in the middle of America with direct flights to Europe everyday. It’s very accessible. Saint-Martiners say that all you need to do is come once and you will always be back. And are you conscious of your environmental impact, are things in place to minimise that for this year? We do everything we can to reduce our impact. This year we are introducing a biodegradable cup and banning straws. We are in partnership with a local association that is helping us to become greener every year. Keep in mind that St-Martin is a very small country of 80K people lost at sea. We do not hold as many options as on land. As an organisation, we promise and are committed to always do as much as possible. More concretely, we also planted many palm trees with students as an educational activity. What will be new for this year’s festival? How different will it be then the last one? Last edition we decided to go 24h a day for 5 days straight. We’re still keeping the multiple venue concept. So beach, villa, sunrise, jungle, techno BBQ and boat party but not too far displaced so that people can also enjoy the island, get a bit of sleep and enjoy their villas. Everyday there will be a 4 to 6h break in the daily music schedule. About the line-up, how important is diversity and a cross section of genders and races and so on? The most important thing is an artist's talent, regardless of anything else. We look for people to bring something unique to the festival firstly. We respect everyone, and give everyone an equal platform, if we think they can bring something our dancers want. The SXM team itself is multi-genre and multi-ethnic, so we aim to match that in the line-ups. We have to deal with artists schedules, routings and availability and try to fit this to make sense musically. It's a lot of work to keep it musically flowing properly. Our goal is to give the artist the most magical setting, you will feel like your partying in a postcard. We also see SXM Festival is not just a line up or just a party, it's an experience. Come witness it yourself!